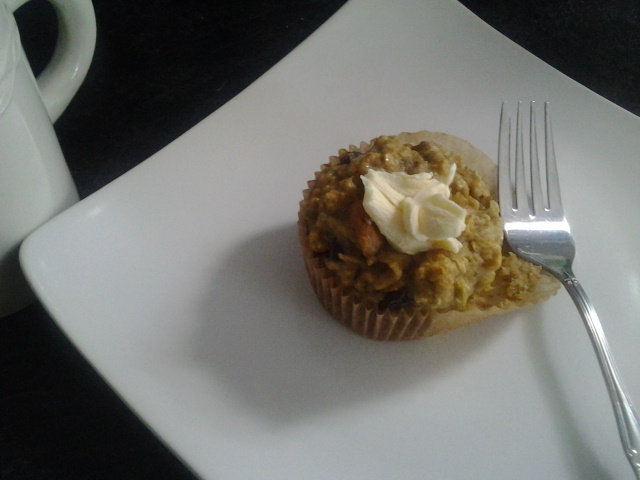 Muffins are awesome, especially these! Using a small amount of pure maple syrup instead of sugar and the high fiber/ protein ingredients included, make these a healthier alternative that just so happen to be Naughty enough to strike my fancy. Serve these warm (or lightly toasted if having them the next day for breakfast) with a spat of vegan butter and you have a satisfying treat that was super easy to make. Preheat oven 350 degrees and grease or paper line your muffin pan. Combine wet and dry ingredients in a large bowl. Scoop even amounts into cups. Bake for 15- 20 minutes or until clean when pricked. Enjoy!